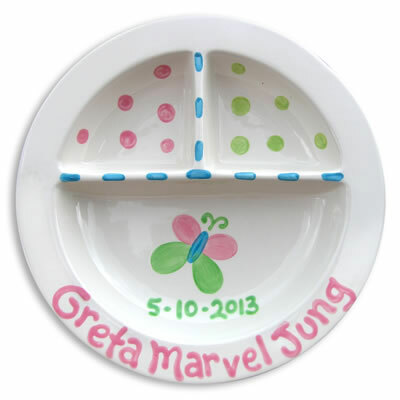 Give that new baby a very special keepsake with a personalized Birth Plate. All plates are dinnerware and dishwasher safe. Understandably, personalized items cannot be accepted for return; however, if your order is not 100% accurate due to our error, you may return it in new condition and in its original packaging for a prompt exchange. All returns must be made within 30 days of receipt. If you have placed an order and realize you need to change or cancel it, updates must be made by the close of the next business day that your order was placed.